Morning everyone. It's my first time coming to WOMAD this year, volunteering with FMS. Whats it like please? Really looking forward to hearing and seeing so many different acts from around the World. West Holts is my favourite stage at Glastonbury. It's great, if a bit ... erm ... middle-class Islington (tho less that than it used to be).  Lovely site, stages in close-ish proximity, and the most diverse line-up of any festival I've been to in the UK - from Tibetan throat warbling to reggae to rave, with plenty of 'traditional' style world music. If stuff like Tibetan throat warbling isn't your thing then there's more than enough 'western style' music happening that you never have to see it. Oh, and it has probably one of the best food stall selections you'll find at any fest, plus plenty of decent beer (ales at every bar, more ales at some bars). It's not Glastonbury but It's a lovely festival. We are first timers too. Slightly scared that it got a mention in the Times yesterday (I think) as a posh festival along with wilderness and Houghton (sp?). It's great, if a bit ... erm ... middle-class Islington﻿ (tho less that than it used to be). We will be back for the 2nd time to WOMAD this year having been for the 1st time in 2016. We have done plenty of festivals before (bothe with and without kids) and we really like WOMAD. Yes bit middle class like others have said but really like the location- loads of nice flat ground for camping and a decent sized site which allows for a nice wander around without it being the giant that Glastonbury is. Really good childrens area though now ours are a bit older we will also try and get a bit more music in this year. It is an amazingly diverse range of music (and I'll admit by lots of artists I am unaware of) so worth going on the WOMAD site and there is a Spotify playlist on there which is well worth a listen- certainly helped me make a shortlist of bands to see. Taking worm 2 who is 12 and her friends and their parents so we can co-parent and share time on/off etc. Haven’t heard of many bands, let alone their countries!!! I have used the playlist on the WOMAD website to have a listen to some of the artists playing to help plan. To be honest I’m the sort of guy that reads the TV guide on Friday night to see what I’ve missed. I plan to bimble, follow my nose and ask others where they’re going next. I have found that the last tactic works well and saves me the research hassle. best thing I discovered last year was German industrial metal mixed with african drumming. It was definitely a bit odd. make sure you see Macka B, he's always great fun. Yes- he is on my list! The app is great in conjunction with the playlist as been listening to that and then adding artists I like to my schedule. I know I won't necessarily see them all and don't want to plan things to the nth degree as well as taking the views of the family on board but its's a good shortlist and hopefully as the kids are a bit older now they'll fancy listening to a bit more music. Camille... Slick performance. Talented. Stood out a mile. Dizraeli.... Spot on politics and delivery. Amadou and Mariam.... Wish I’d taken a Braille sign. JM and Juanin.... I met a friend there who recommended them and it just grew and grew on me. Like a Chillian Val Doonican. Kermesz... the Belgium heavy brass band that were great fun. Layout was was a doddle, food great, so much I didn’t see as I didn’t do my research but I did 23 acts, 26 miles walked, Not enough sleep as drove home each night due to bad back issues. the th9ing which stood right out for me this year was the no-litter. WOMAD's always been better than most, but I wish all festivals were spotless like it was this year. Due to the winds I expect it’s all in Berkshire! My mate says he got 4 new broken tents on Sunday morning. Had a fantastic time and will be back. Thought the food was excellent and like previously said could not believe how clean everywhere was. Mr Jukes, KermesZ à l’Est, Havana meets Kingston. As I volunteered there on the medical team I thought everyone was so appreciative of us being there. I was volunteering in the Oxfam shop and had a great time, agree with your comments on cleanliness. (I'm not sure because despite attending womad for nearly 30 years I've never done one. I see a workshop and I walk the other way ). Healing treatments and SPA etc are not. Yes indeed workshops are free- and that includes things for the children too (our 2 did some stuff in the Physics Pavilion which was great). We did do some steel drum thing in one of the stalls which was free but we did donate to the charity they were linked with.